TopBet Review 2019 - Is Topbet.eu Honestly Safe for Players? TopBet offers a sportsbook and suite of casino games to customers located mainly in the United States. Launched in 2011, the site runs AceGaming and Betsoft casino software and operates with a gaming license issued by the Curacao Gaming Control Board. TopBet has a better reputation as a sportsbook than a casino gambling site, which may be due in part to the odd choice of AceGaming software for most of their casino games. It's unusual to come across a site operating on the little-known AceGaming platform. Upon investigation, it turns out they're a very young company without many big names to their credit. They provide all of TopBet's games of chance and skill, and a few to Golden Spins Casino (which also operates Betsoft games), and that's all, at least according to their website. Where the site's casino gets things right is where it includes Betsoft games, which are some of the best in the industry at this time. TopBet's sportsbook is a new player on the world stage, and it's clear from a few of the book's features that the site is aimed at a US audience. A wide variety of American sports are available for bets, and while the deposit and withdrawal options aren't varied, the site makes up for that by offering things like free withdrawals and bonuses for reloading. The signup bonus at TopBet is certain to help attract plenty of new customers. They offer a 100% bonus on the first deposit, up to a maximum of $250. This might not be the biggest bonus available from an online gambling site, but it's pretty generous. In order to claim it, simply enter the TopBet promo code BONUSME when creating an account. The rollover requirements are very attractive: sports bettors just need to turn the bonus over 5 times. It can also be used in the casino if preferred, with a turnover requirement of 25 times. If you are unsure about where to enter the promotion code, check out our screenshot as an example. Here is a quick guide to every bonus available at TopBet at the time of my review. When other sports are in season, the site will shift its promotional focus to those sports. Check TopBet's promotions page to find out what options are available to you at the time you sign up. While you're at it, bookmark their Terms & Conditions page in case you're interested in a bonus and want to research it further. First-time depositors are eligible for a 100% deposit match worth up to $250. The rollover requirement is 5x deposit-plus-bonus for sports bets and 25x deposit-plus-bonus for casino games. Customers with at least $10 in real money in their accounts can place one free bet on ESPN's Sunday Night Game every week of the regular season. Bettors that pick the player who hits the first homer in ESPN's Sunday Night Game can win up to $100, depending on the circumstances of the homerun. Access this free wager by logging in on Sunday before the first pitch of ESPN's Sunday game and place your free wager. TopBet will refund the first $5 in real money you spend in the casino. All $5 refunds are processed and paid out on Wednesdays, but the release of the bonus is subject to a 3x rollover on sports bets and 20x rollover on casino games. If you email customer service before your first payout and request it, TopBet will send you your withdrawal via courier for free. The offer is good on your first payout only. All bonuses listed on the site's Promotions page are available to mobile customers as well. All US-issued VISA brand credit, debit, and gift cards can be used for deposits ranging from $50 to $2,500. All US-issued MasterCard brand credit, debit, and gift cards can be used for deposits ranging from $50 to $2,000. A person-to-person cash transfer service that can be used for deposits ranging from $100 to $2,000. TopBet will waive fees for deposits of $300 or more. Allows for direct withdrawal to a VISA or MasterCard credit or debit card. Withdrawals from $5 to $2,500 available. Requires a $40 fee per transaction, and withdrawals of $200 or less require an additional $20 fee. Average processing time is five to ten business days. Check delivery by Courier, either FedEx or DHL. Withdrawals from $5 to $2,500 available. Requires a $40 fee per transaction, and withdrawals of $200 or less require an additional $20 fee. Average processing time is eight to ten business days. TopBet is not one of the handful of books around the world that offer noticeably good odds. They make up for that by having a user-friendly betting interface, a big selection of games and US pro sports, and overnight lines on leagues like the NBA and Major League Baseball. The available wagers at TopBet focus mainly on American sports. Over the past couple of years, the site has added some new markets (cricket and rugby chief among them) to add some international appeal and variety to what was at one time an exclusively US sports-based lineup of available bets. I cover these in more detail in the Sports Covered section below. Another positive feature of the sportsbook section of the site that I've come across in a few other reviews of TopBet is the fact that their lines are "up early." At my last visit, I checked this out for myself, and sure enough, overnight lines were available for all the MLB games the following day. During other sports seasons, new futures markets open up, including futures betting on US college sports. It's hard to overlook how many prop bets TopBet makes available. I'm used to reviewing sites that list a half-dozen or so prop bets on major sporting events, but TopBet takes it to the next level. The site may list three-dozen proposition bets on high-profile games, like league championships. TopBet also allows props to make up parlays, a feature I haven't seen in the online bookmaking industry in years. A disappointing oversight in TopBet's betting selection is the site's lack of any available race bets on horses or greyhounds. Even if you aren't a big fan of racebook bets, you can always count on the online racebook to help clear rollover requirements. I'm always happy to see variety in a site's betting options, and TopBet has that covered if all you're interested in is traditional American sports. To give you an idea of the betting ranges allowed at the site, I'll share the range for a few popular bets. If you're looking for a range that I haven't listed here, check the page I listed above. TopBet maintains a really informative page dedicated to their wagering limits. It's a confusing table to look at, unless you're looking for the range available on a specific bet. Take note – TopBet says on their own website that these ranges are "subject to change at any time for any individual player." I'd take this information with a proverbial grain of salt. As I talked about earlier, TopBet's casino is not really the focus of the site's business. TopBet has always been a sportsbook first and foremost. But it's nice to see any site using Betsoft games – Betsoft has designed some of the best online slots, games with high replay value and great player value to boot. The thing TopBet's casino has going for it is its willingness to accept and work with customers from the USA. The site's limited deposit and withdrawal methods are nonetheless ready to work directly with US-issued credit and debit cards, so for Americans with limited access to online gaming, the site is a godsend. Reviewers are generally positive about the site's promotional lineup for casino customers, though I think they're mostly talking about the first deposit match bonus and the reload bonus. I think the site's referral bonus program is pretty good, too. Here are the details on each of the site's three casino-specific bonuses at the time of this review. Casino customers making their first deposit are offered the same 50% deposit match bonus up to $250 that sportsbook customers can earn. The only difference is in the rollover requirement. Casino gamblers have to wager 25x the total of their deposit plus their anticipated bonus before the money is all cleared. The funds are released incrementally as they clear, provided you have matching real money funds in your account. Every time you reload your account, you're eligible for a 10% deposit match bonus up to $250, with a slightly more reasonable rollover requirement of 20x deposit-plus-bonus. You can earn 25% of the first deposit of anyone you refer, up to $250. The rollover requirement for this bonus is also on the reasonable side, at 20x deposit-plus-bonus. TopBet currently breaks up its library of 102 games into six categories. Here's a quick review of each, and a look at some of the most popular games in each category. This category contains forty 3D slot games. All of these titles were designed by Betsoft, one of my favorite slot game designers and one of the best-reviewed designers in the industry. If there is anything to complain about in this section, it's that these games have somewhat homogenous features. Many of them are five-reel, thirty-payline titles with a wild symbol and a simple luck-based bonus round. Though they look better than 99% of the other slots on the market, after a while, the sameness of the titles TopBet has chosen for their 3D Betsoft library gets a little grating. This section is where the site's other slots are kept. All of Betsoft's titles are housed in the 3D section, as described above. The twenty-seven slots in this section are all designed by AceGaming, and they're noticeably lower-quality than the site's 3D Betsoft titles. The games look dated, like slots you might have played twelve years ago in Vegas. But my complaints don't end with their overall design – their selection of only twenty-seven slots is disappointing number. Slot players are used to having hundreds of options at both brick and mortar and online gaming venues. The variety in terms of game layout is one nice feature of this section of TopBet's library – from traditional three reel single line games to much more complicated "243 Ways" style games, this section has a lot of variety. If only the designs were more modern, included licensed titles, or a few more industry-quality effects. 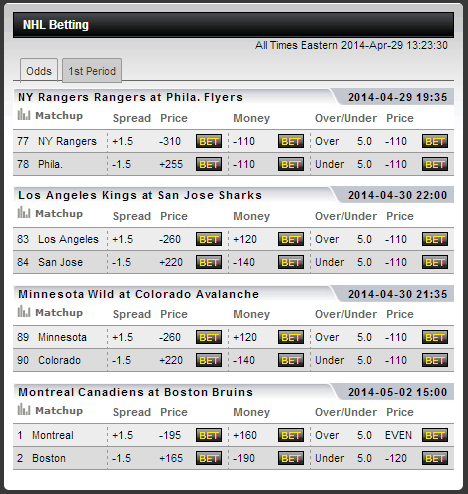 Is the closest thing to the standard Vegas game available at TopBet. The site promises "single deck games available," but doesn't elaborate on just how many decks players are facing in the other versions, which makes me a little nervous. The game gives you the option of playing between one and five hands at once. Players can split once per round, and blackjack pays 3:2. Is identical to "Blackjack" except that it offers higher limits, with max bet size at $2,000 at my last visit. The design is also a little different, but I didn't notice that when I played, I just read it in a review and double-checked. Sure enough, it's designed to look a little more "fancy." Is a gimmicky variant that offers five different side wagers (each with their own payout) per round. The highest paying side bet in the game is the Mega Match, which pays out 2,000:1 if the player and the dealer's first two cards are suited King and Queen. Other side bets available include the Twenty Bet (7:1 if the dealer's first two cards total twenty points) and the Dealer Bust bet (2:1 if the dealer busts). Is like Blackjack VIP, identical to its namesake except in looks and the range of available wagers, which again top out at $2,000 per hand. This isn't the smallest collection of table games I've ever seen, but it's nothing to write home about. Kudos to TopBet for including both American and Euro roulette, as well as classics like craps and baccarat. Table game fans should have plenty to pick from between this and the blackjack category. Video poker is all about variety. Video poker fans, like myself, want to play at venues with a lot of different games so that we can find pay tables and rule variations that we like. When I saw that TopBet hosts just four video poker titles, my heart sank. I'd been hoping that AceGaming had a really great video poker design or something to win me over. That isn't the case. All the games below are available in multi-hand versions, up to fifty hands per round of play. Is the only game on the list that I wasn't familiar with before I tested this site's casino games. It includes five different payouts for various four of a kind hands, which makes it something of a big spender's game, as the title's most valuable payouts come from pretty rare hands. A double-up bonus game shifts the odds a bit more in the player's favor, if chosen. Is the standard game you know and love from your favorite casino floor. The one complaint I have about this game is the pay table, which according to Wizard of Odds gives the game a payout percentage of around 92%. I tend to only play Deuces Wild games above 99%, so I wouldn't give this version much of my time. Is a renamed version of the popular video poker classic Jokers Wild with the addition of an optional double-or-nothing bet on all wins. The pay table is nothing special, indicating a payout percentage of around 94%. Is the traditional video poker game stripped down to its basics, though players at TopBet can choose the optional double-up bet after all wins. The pay table here gives the game about a 95% payout percentage, which is a shame considering how many sites host games with payout percentages closer to 98 or 99%. Fifteen games that might normally be listed as "Specialty Games" at other sites are grouped under this heading at TopBet. They include lotto-style electronic scratch cards as well as instant keno, a virtual racing game, a virtual sports betting game, and a few other oddball contests. Looking into how they work, I realized these are mostly long-odds games with a small audience – but if you like luck-based gambling, scratch cards, or computer games a ton, these might be up your alley. I personally don't understand the appeal of a Web-based scratch-off lottery ticket. Customers can contact TopBet using a dedicated email address ([email protected]) or a toll-free phone number - 1-877-528-6748. I called, from the United States, during normal business hours, and I was connected quickly to a friendly staff member who answered my boring little question as though it were a big deal. I didn't have as much luck with an email I sent – the response came a full 24 hours after I'd already finished the first draft. Of course, my question wasn't urgent at all, so that may have something to do with it. TopBet is not notorious on the Internet for ripping off customers, their customer support staff was friendly and knowledgeable (even if email response was a bit slow), and their sportsbook interface is easy to use and intuitive. The casino isn't going to impress anyone, outside of a decent collection of Betsoft slots, there isn't much to see here. Deposits and withdrawals are limited in terms of available methods, but the site offers decent promotions (including unlimited reload bonuses) to make up for it in some way. While TopBet was once known as a US-only sportsbook, they're starting to include diverse new markets, which increases their appeal in my opinion. If you live in the US, or if you're interested in primarily American pro and college sports, give TopBet a look, though don't expect much in the way of amazing odds or world betting markets. Is TopBet blacklisted by any of the major review sites? No. I had difficulty finding any legitimate complaints about TopBet's sportsbook service at all, though there were the usual casino gambler complaints about bad beats. I found no serious allegations of misconduct, and nothing at all that was evidence-based. Does TopBet offer a comp or reward system? Yes, TopBet offers what they call Comp Points to reward players for their loyalty. Players earn these points by placing bets in the casino, and $1 spent equals 1 Comp Point earned. Note that every game has a different Comp Point value, based on the house edge. These points can be redeemed for cash, though you have to be enrolled in the program to see the exchange. Does TopBet host casino game tournaments? Yes, although I couldn't find a live schedule of future events or anything. I did find a FAQ section on their site which addresses the subject. It should answer some of your questions. How can I play TopBet on my mobile device? If you have an iPhone, Android, Blackberry, or Windows mobile gadget, you can access TopBet's mobile site. Search for TopBet on your mobile browser, or enter the mobile URL listed at the top of this review. You can even point your mobile device to the standard desktop version of the site and automatically be redirected to the mobile site. What is the recommended connection speed for TopBet? For laptop and desktop connection, 1MBpS or better is advised. For TopBet mobile, users need a 3G connection or better.